As the U.S. military continues to draw down troops around the world, many veterans are returning home and looking to take advantage of the education benefits provided by the Department of Veterans Affairs by enrolling in the best colleges for veterans. Earning a degree can be a powerful step toward a successful civilian career, especially as it will be coupled with the military experience of the individual. Many colleges and universities participate in the GI Bill and Yellow Ribbon programs; however, some schools go above and beyond these programs because they are passionate about serving our veterans. Many schools offer support programs for veterans to help them adjust to civilian and academic life. There are many states that have their own financial aid programs to help veterans in addition to the aid offered by the VA.
Below you will find a list of the top 25 colleges and universities for veterans according to U.S. News and World Report. The schools are ranked in our list according to their average 30 year net return on investment as calculated by payscale.com. The good news for veterans is that their ROI from these schools should be higher than most because of the strong support offered by each of the schools. Tulane's School of Continuing Studies is a part of the Servicemembers Opportunity Colleges Consortium and is open to any veteran with a high school diploma or GED. The school places great emphasis on maximizing the benefits of the GI Bill and Yellow Ribbon Program to make attending college as affordable as possible for our nation's veterans. There are a wide range of benefits available to veterans through the Office of Veterans Services at the University of South Carolina. The school also has a Veterans Student Services Advisory Committee that exists to gather information regarding the needs of veterans at the school so the school can continue to improve the support they offer veterans. Duquesne is a Roman Catholic university with a strong record of supporting our nation's veterans. In addition to the GI Bill support offered by the majority of schools, some veterans or family members of veterans may find themselves eligible for a full tuition waiver for either undergraduate or graduate tuition. This is an especially rare trait to find in a private university and this characteristic makes it clear why DU made the list of our best colleges for veterans. There is a free military psychology clinic that specializes in easing the transition from military to civilian and academic life. The school also offers programs through the School of Leadership and Professional Advancement that are available to current active duty, guard, and reserve members of the military. Miami University Ohio provides extensive financial support for veterans by harnessing the full power of the GI bill and other Department of Veterans Affairs programs. The Student Veterans Association (SVA) exists at the school to advocate for the interests of veteran students, and to provide a support network for veterans and their families as the veterans adjust to civilian life. The organization also acts as a bridge between veterans and the school, providing veterans with a way to communicate their needs as a community to the school's administration. 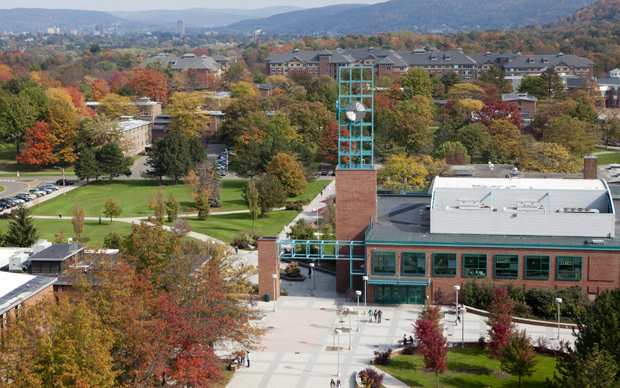 The University of Vermont provides extensive financial services to veterans through the Veteran's Association. As one of our deserving best colleges for veterans, this school is also home to a Student Veterans Organization that holds weekly meetings and provides veterans support in the transition from military life, to academic life. The SVA also advocates for the interests of veteran students and is a local chapter of the national organization Student Veterans of America. 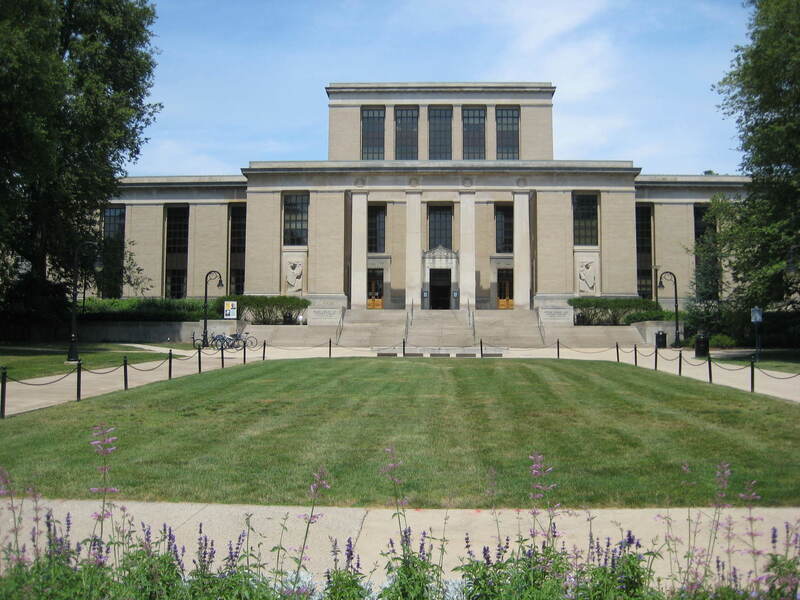 Effective July 1st, veterans may qualify for a residency exception at Indiana University. This means that veterans that aren't residents of the state of Indiana, may be considered residents for the purpose of calculating tuition. This can equate to a massive savings for veterans that are not residents of Indiana. In addition to this policy, the school also participates in all of the major assistance programs through the Department of Veterans Affairs. The University of Nebraska grants college credit for certain military experience. The school also provides veterans with reduced tuition in addition to the other financial aid programs available to veterans. Veterans benefits can be applied to both traditional classes and independent study or distance education courses. The school also provides veteran student mentorship programs designed to help veterans acclimate to civilian life. Temple University is proud to be a Yellow Ribbon school, making it well deserving of the distinction of being on our list of the best colleges for veterans. The Yellow Ribbon program can provide as much as a full tuition reimbursement for qualified veterans. There are many other financial benefits offered to veterans by Temple both through the Department of Veterans Affairs, and from other resources. The University of Tennessee offers a pre-college program for veterans that will ensure they are up to speed and confident in their skills as they enter higher education. While all programs at the University of Tennessee provide GI Bill support to veterans, the College of Business Administration MBA program is the only program set up to work with the Yellow Ribbon program currently, however the financial support provided through the Yellow Ribbon program makes this one of the most attractive MBA programs for veterans. The Veterans Center at the University of Missouri is a comprehensive organization designed to meet every need of veterans of the United States Military. The school, in addition to its normal aid to veterans, recently received a $1 million donation from an estate that is intended to start a fund that will provide veteran students with full scholarships to the university. The Mizzou Student Veterans Association is a peer group consisting of veterans that offer mentoring services to their fellow soldiers. Number 15 on our list of the best colleges for veterans, Syracuse University offers a large number of special programs for veterans designed to harness their experiences for their educational benefit. The school also features some programs suited to veterans seeking to pursue a career in civilian law enforcement and counter terrorism, in addition of course, to all of the other programs offered at the school. The University of Kansas works through the many programs established by the U.S. Department of Veterans Affairs to offer efficient and effective services to veterans. The school offers tutoring programs, scholarship resources, and an experience financial aid office that will help veterans maximize their education benefits. The University of Alabama has adopted the Veterans Education and Transition Services (VETS) program developed by the University of Arizona (spotlighted later on in this list). In addition to the typical financial services one finds at the majority of universities, the VETS program at the University of Alabama has programs like Textbooks for Troops, which collects textbooks to provide as free rentals to veterans and their student family members. The school also supports outreach programs, and transition assistance programs. 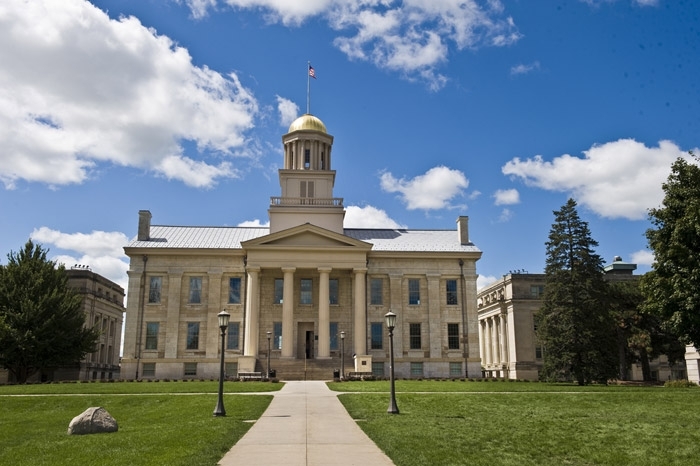 The University of Iowa Veterans Center is staffed by student veterans that seek to help other veterans acclimate to the university setting. The school offers extensive services to veterans that extend far beyond just the financial services offered by many schools. This includes programs like Google for Veterans, which is run by veterans that work at Google, and helps other veterans adjust to civilian life. There are also child care services, mentoring programs, and of course extensive financial services available to veteran students. The Veterans Education and Transition Services (VETS) seeks to provide support to veterans in tangible ways that go deeper than mere financial assistance. The university is committed to providing veterans with support services staffed by people who understand the challenges faced by our veterans. The VETS program at UA has, in the six years of its operation, become the gold standard of veteran services for universities across the country. The University of Buffalo participates in the standard veterans benefits programs for financial aid. Where the university goes above and beyond is in its programs designed to connect veterans with each other and local organizations in order to form a tight-knit support network in the community. Oklahoma provides veterans with a wide range of services and support. The school offers extensive benefits not only to veterans, but to their families as well. The school offers guides to the special veterans forms to ensure prospective students will have all the information necessary to not miss out on any of the special benefits to which they are entitled. OU participates extensively in the Yellow Ribbon program, so in many cases, qualified veterans can earn their degree for free. This school offers veterans all of the normal support offered by most other schools including the support detailed in the GI bill. The school also one of the specially selected private universities that participate in the VetEd program, which is offered by the state of Wisconsin exclusively to Wisconsin veterans. These veterans qualify for 100% tuition reimbursement through their bachelor's degree or vocational equivalent, as long as they attend a state institution or one of the select private institutions that participate in the program. Honorably discharged veterans now receive priority registration at Penn State, ensuring that they will have first crack at the classes they need to earn their degree. The peer counseling program at Penn State allows prospective students that are veterans to receive advice about their pursuit of higher education from other veterans who have experience with the special support systems in place. This ensures that the prospective student is advised by somebody who understands their situation, and has real experience working through the special veterans assistance programs. This prevents veterans from missing out on any of the many financial support benefits. 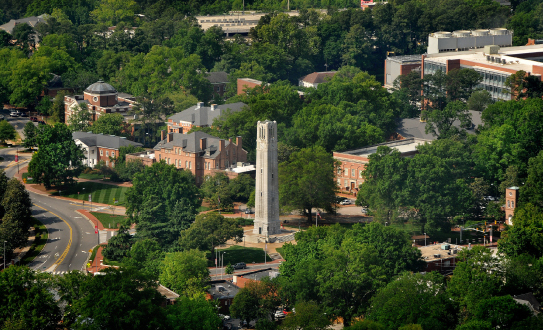 NC State University takes great pride in their veteran student population and they show it. In addition to the broad selection of veterans assistance programs, which themselves demonstrate the commitment of the school to serving both active duty and veteran military personnel, they also pay special tribute to graduating veterans at commencement. This last piece isn't necessarily of any practical significance, but it does stand as an example of the school's great respect for veterans, and as a reminder of the sacrifices many have made for this country. #5. Catholic University of America: Washington D.C. Tuition at the Catholic University of America isn't cheap, but its participation in the Yellow Ribbon program is extensive. The school provides a maximum of $99,999 per year in assistance per Yellow Ribbon qualified veteran. The school offers 75 different bachelor's programs through the Yellow Ribbon program, and admits 50 graduate students and 40 undergraduate students on a yearly basis. The school also offers special scholarships to veterans based on their experience and specific situations, and wit a $13,800 annual in-state tuition, Catholic University is among the relatively cheap best colleges for veterans. Binghamton University holds special campus events for veterans and devotes Veterans Day to honoring the service of veterans to our country. The school's Office for Veterans Services is attuned to the unique needs and situations of veterans and provides a wide range of services and advice to veterans attending or interested in attending the university. With in-state tuition just over $8,000, BU is one of the more affordable best colleges for veterans. The University of Texas provides services for veterans under the GI bill, but the state of Texas goes a step further with the Hazlewood Exemption. The Hazlewood Exemption makes veterans, their spouses, and their dependents exempt from tuition and fees for 150 hours of education, as long as those hours are spent in state funded courses. The University of Texas at Austin is committed to providing this exemption to all qualified veterans. The school also provides extensive veterans services, and is overall excited to welcome veterans and their experience to the university. Drexel provides extensive support to active duty veterans and selected reserve. Above and beyond the typical GI Bill support, Drexel offers qualified veterans a $5,000 scholarship towards their education. The school also committed $2 million to the Yellow Ribbon Program, where the university will match the government's contribution to a veteran's education, so the veterans that are a part of the program may attend the university with tuition and fees covered, and an allowance for books. Texas A&M is one of the most supportive colleges for veterans in the United States. The school has three major offices designed to support veterans, and their unique situation and needs. The Veterans Services Office exists to help veterans and their children take advantage of every financial aid option available to them. The Veterans Resource and Support Center is there to help veterans connect with each other and important resources and associations. For our nation's veterans who are interested in a quality education for themselves or their family members, there are an abundance of opportunities afforded to them. By selecting a university on our list of accredited best colleges for veterans ranked by their return on investment, veterans can be sure their education will provide them with the best possible start to their life after service.